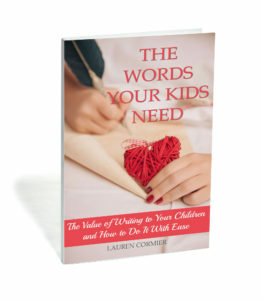 Welcome to Part Two of the Teen/Tween Fashion Series, written by my 13 year old niece, Ellie. Last time she shared how to style one outfit four different ways. This week she’s sharing tips on how to create your own style. 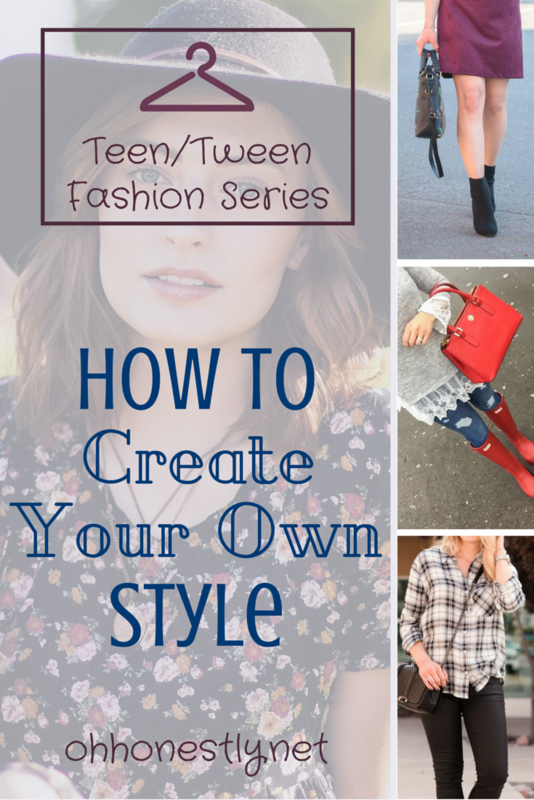 These are awesome tips whether you’re a teenager or not, so if you ever feel like you need a little style advice, this is the post to read! I found it really helpful. Thank you for joining me for another fashion post! Today I am going to be talking about how to create your own style. Developing your own style is very fun, but sometimes it’s hard to not look like everyone else. In order to have your own style, you need to get out of your comfort zone a little bit. You might be worried that your friends will think you look silly. Try it out anyway! Every outfit that you wear might not be the best, but experiment. You might be surprised to see your friends copying you! I have a few tips on developing your own unique style. Here they are! One of the big things that will help you create your own style is getting inspiration for your outfits. When you go shopping, look for things that you like, even if they aren’t in your size or section of the store. Like, what if you always love skater skirts or flannel shirts always catch your eye? That will be a step towards what your style is. Look at all the manniquins dressed up. Do you like what they’re wearing or parts of their outfits? If you do like something you see and you don’t want to forget, you could even take a picture of it! Another way I get inspiration for outfits is going online. I look on Pinterest or on the internet for cute outfits. If you are not allowed to go on Pinterest, then ask if you can go to stores’ websites. Also, I get inspired when I watch TV. For instance, if I am watching a show on Disney Channel, and I see that I like an outfit, I will take a note. I think about what clothes I already have and how I can mix and match my clothes to look like that outfit. There’s also bohemian, trendy, and more. My style is chic, classic, and a little bit of preppy. As you figure out what kinds of clothes you like, you’ll probably notice that you keep coming back to certain styles. This means you’re on your way to creating your own! 4. Don’t stick to one style. Be unique! It is very important to have an assortment of styles. For example, if one day you have a field trip where you’re doing something active, you may want to wear something sporty. Or, if one day you are feeling preppy, than go preppy that day. There is a big range of things to choose from. Try different items out! Accessories are also a great way to make your own style. On my last blog post I talked about that. If everyone wore the same style and kinds of clothes, life would be boring. So, take a step out of your comfort zone and try something new! What styles do you tend to gravitate towards? Tell us in the comments below or on our Facebook page. A HUGE thank you to Kristyn of Glamour-Zine for allowing us to use her pictures for this post. 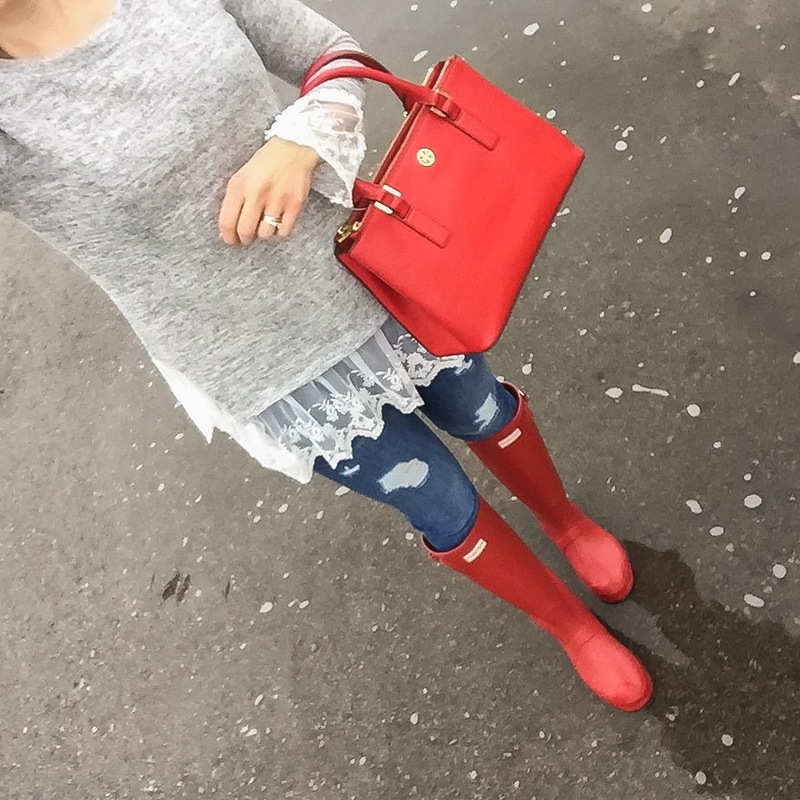 Please go visit her blog for more style inspiration and follow her on Instagram! OMG I love all of these looks! And Ellie is SO right…you have to step out of your comfort zone! Christine’s photos are amazing and I need those red boots and bag! Cute post!